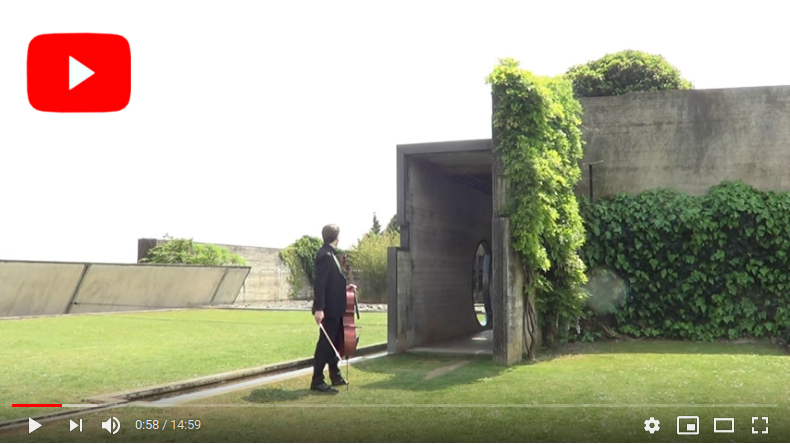 It took a while, but our latest video, 'Sándor Veress - Sonata per violoncello solo (1967), recorded at the Brion Cemetery, designed by Carlo Scarpa' is finally ready! 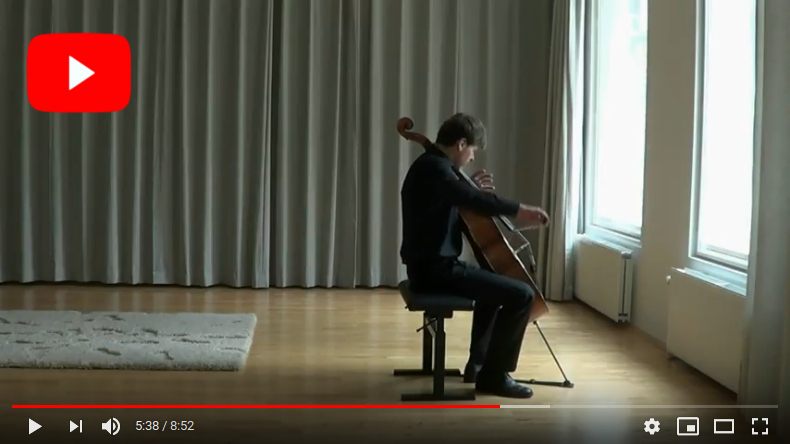 I'm eternally thankful to Charlotte Girod for showing me this awe-inspiring building complex; for her wonderful camerawork; and of course for her solution of how to actually record the piece on the location! 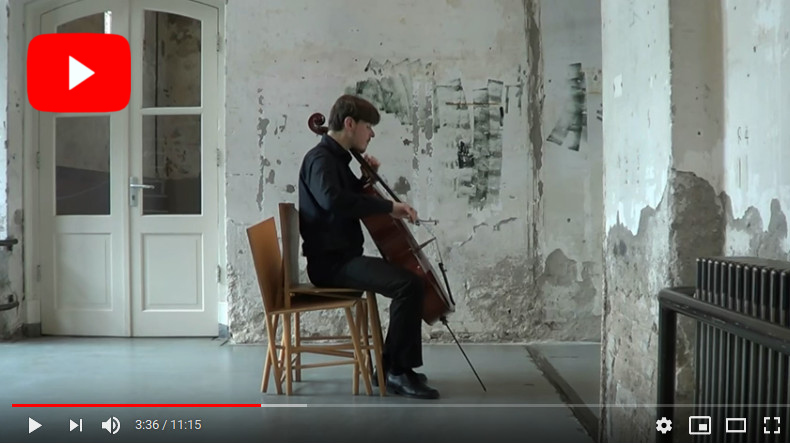 Charlotte and Örs recorded this video during their artist in residence programme at 'Stichting Post 15', Pécsbagota, Hungary. 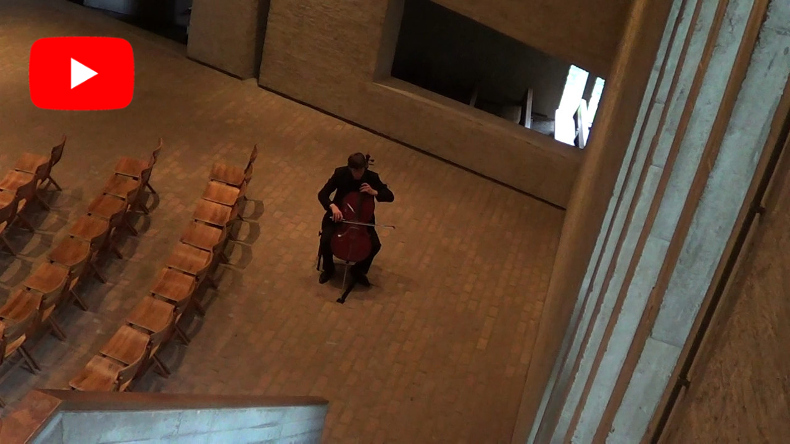 In spring 2012 a collaboration started between Charlotte Girod and Örs Köszeghy to create video recordings of solo cello pieces in various architectural settings. 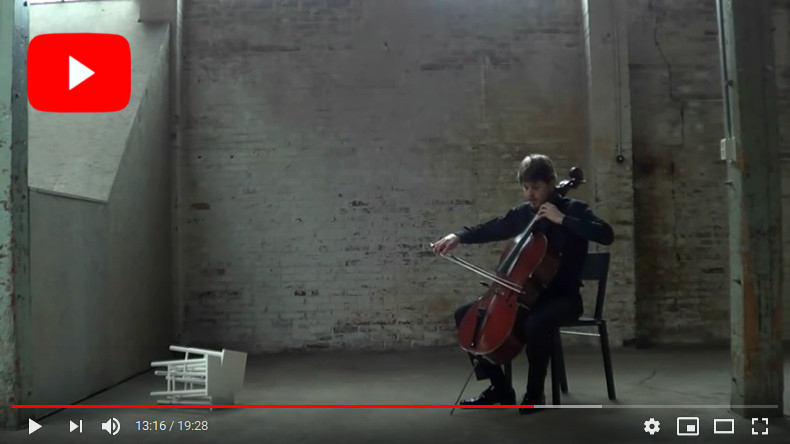 In each video, both Charlotte and Örs has to react to the nature of the chosen location: for example, to the high background noise from the furniture factory in the Toonkamer or to the periodical roar of airplanes over the Glazen Huis. 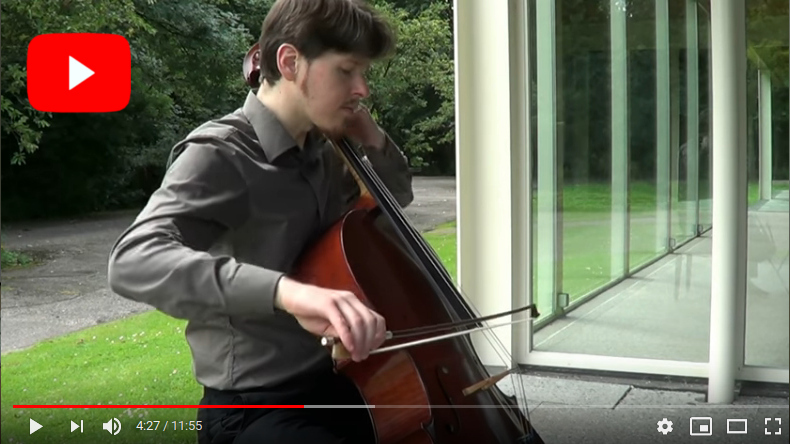 Similarly, all but one of the recordings are made using only daylight, not only since daylight is the best type of light, but also to show clearly that cuts only happen between separate movements ('Oog' by Michel van der Aa was recorded by artificial light - still in one cut of course). 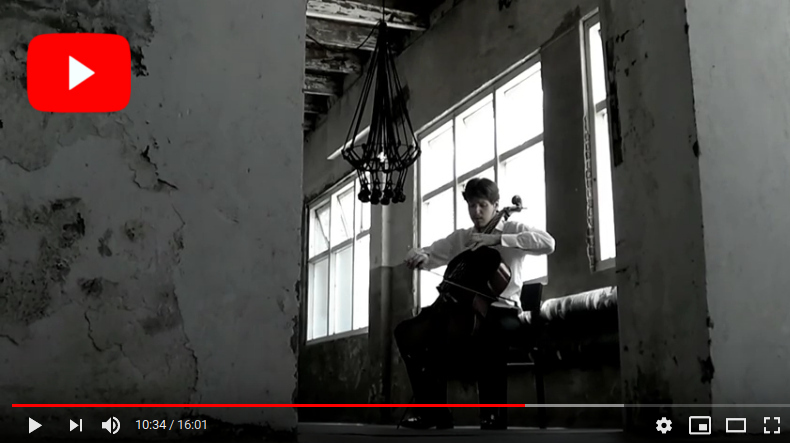 The recordings also often feature a designer object of high handcraftsmanship and quality, to create a focus for viewer, recorder and player alike. 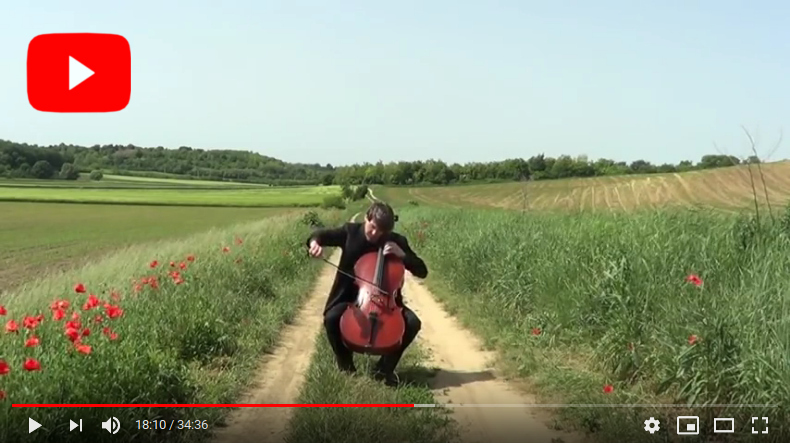 Everything is connected in these videos: the choice of music, the location, the image and the focus object all work to together to strenghten each other. 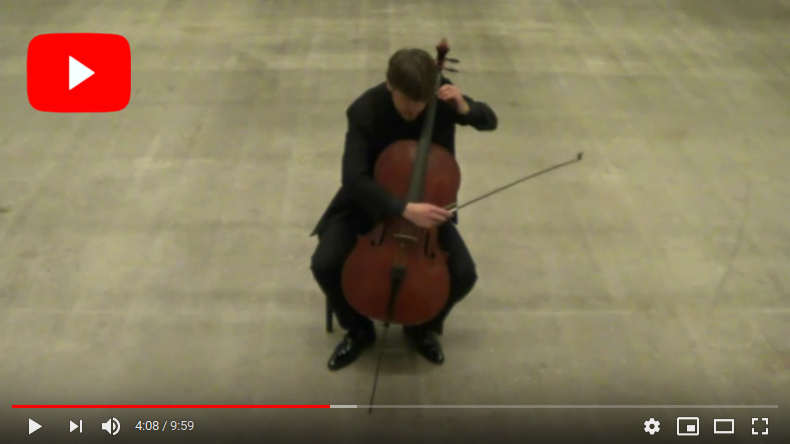 The videos are also available on the YouTube channel of Örs.